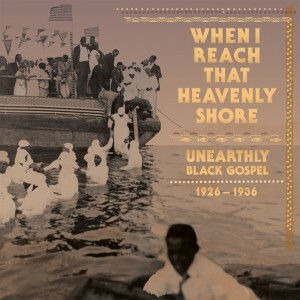 Among the most powerful music to be captured on 78 rpm in America during the 1920s & 1930s are those recordings of black sanctified and gospel singing. Ranging from plaintive mourning to unbridled ecstasy, the sacred music from this time period represents a flowering of diverse and idiosyncratic rural songs styles. At no time was there a wider panorama of religious songs in America. Selected exclusively from Christopher King’s private collection, the 78s included here represent the most unhinged, the most compelling survey of pre-war black gospel. The complete recorded output of the Primitive Baptist Choir of North Carolina is also included in this collection for the first time. Several rare & previously unissued photographs are also contained within. Lovingly and respectfully designed by Susan Archie and firmly grounded in Scripture by Christopher King.